Honey Nut Cheerios has removed its bee mascot, BuzzBee, from cereal boxes in the U.S. and Canada, in order to highlight the dwindling numbers of bees. The General Mills-owned brand is using the blank space where the bee should be to encourage consumers to plant over 100 million wildflowers this year, in order to ensure a more bee-friendly world. The campaign, #BringBackTheBees, invites families to order and plant free seeds from Vesey’s Seeds by visiting the campaign website. The brand points out that bees have experienced an unprecedented scale of habitat loss, with more than nine million acres of grass and prairie land converted to crop land since 2008. 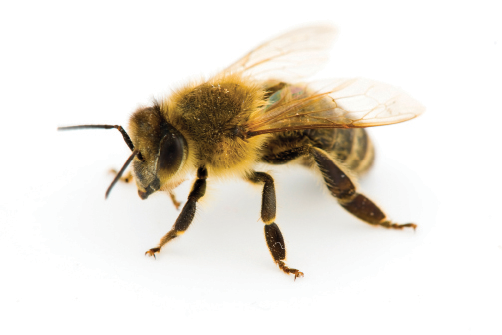 Approximately 30 percent of all ingredients in General Mills’ products rely on pollination. Throughout spring, Honey Nut Cheerios will continue its efforts to help conserve pollinator populations in the United States. Visit www.cheerios.com/bringbackthebees for more information. Rentokil has revealed how a pair of rats could produce nearly half a billion descendants in just three years. The interactive project, named “The Rise of the Rats,” visualizes the rapid rate at which rats reproduce and warns how quickly a rat infestation can spiral out of control. Ehrlich, a Rentokil North American division brand, saw an 86 percent increase in the number of rat-related calls from 2015 to 2016. This trend was mirrored in cities throughout the world, with Paris closing nine parks and green spaces as part of a major anti-rat campaign. “The Rise of The Rats” explains the breeding cycle of a brown rat living in an ideal environment. A female rat typically births six litters a year consisting of 12 rat pups, although 5-10 pups is more common. Rats reach sexual maturity after 4-5 weeks, meaning that a population can swell from two rats to around 1,250 in one year, with the potential to grow exponentially. Dr. Andy Brigham, general technical manager, science and service, Rentokil Initial, said, “If we were to do nothing we would be overrun by rats. Their breeding strategy is very different to that of humans. It is characterized by quantity over quality. They produce very large numbers of offspring on the basis that at least some will survive long enough to produce their own litters. For more information, visit www.rentokil.com/rise-of-the-rats.